Cruise ships are consistently outdoing each other in terms of size, value, and entertainment. So, the day Carnival announced their first XL-class ship in December, it’s no surprise waves were made (no pun intended). How was the Mardi Gras Announced? 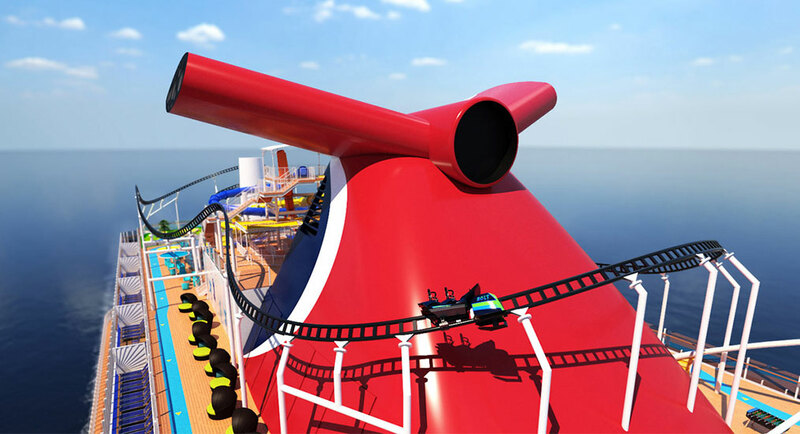 When it came to revealing the name of their largest ship to date, Carnival did not disappoint. 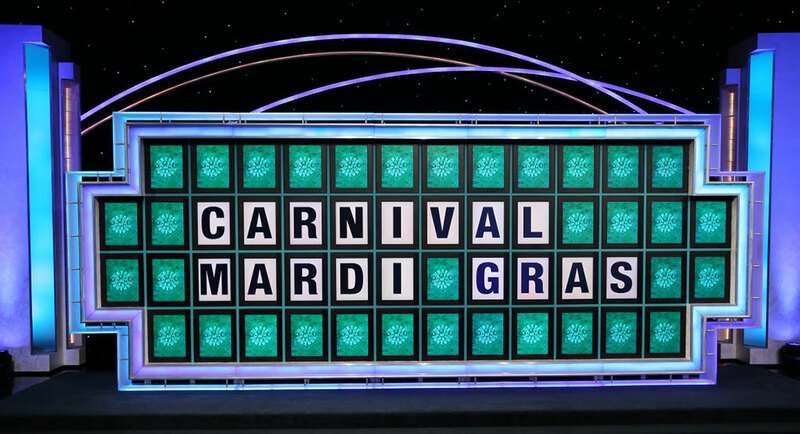 They chose to debut the Mardi Gras on Wheel of Fortune’s iconic puzzle board in conjunction with a cruise giveaway. To some, this ship name may induce déjà vu, but there’s a reason it sounds so familiar. In fact, this vessel is an ode to Carnival’s first ship, the TSS Mardi Gras, that launched in 1972 and set the tone for laid-back cruise vacations indefinitely. What Will the Mardi Gras feature? With the exception of her name, there’s nothing archaic about the Mardi Gras. She’s teeming with innovation and unique features that cruisers have yet to witness. Carnival’s brand ambassador John Heald describes the ship as having “many jaw-dropping areas and things.” He wasn’t kidding. The Mardi Gras will include six unique themed zones and 20 captivating decks. If that doesn’t impress you, maybe 20 different categories of staterooms will. Guests will be able to customize their vacation experience with elegant and spacious suites. What sets the Mardi Gras apart from Carnival’s older ships is her open layout. The Grand Central zone is located right in the heart of the ship. It will include decks six through eight and offer plenty of spots to socialize and relax. The atrium’s floor-to-ceiling windows will span three entire decks to take advantage of the sea views. It will serve as a day-to-night entertainment complex, complete with a bar overlooking the starboard side of the ship. If drinks aren’t your thing, fuel up on Asian cuisine at the expanded versions of Bonsai Sushi and Bonsai Teppanyaki nearby. Need other ways to pass the time? 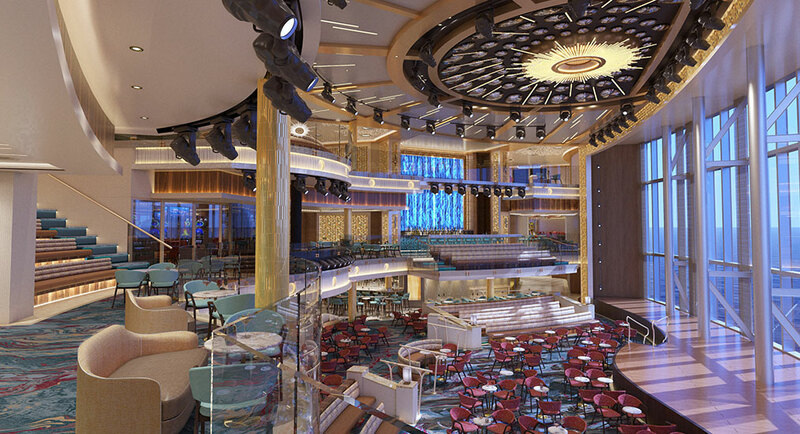 Grand Central will also be the home of the beloved Piano Bar 88, as seen on Carnival’s Sunshine ship, and Punchliner Comedy Club that even offers family-friendly shows. With a name like Mardi Gras, it’s only fair to pay homage to New Orleans once again with a French Quarter zone. Deck 6 will be exploding with this city’s spirit, equipped with eateries and bars that capture its essence. As for the jazz scene, expect a double deck promenade paving the way to a “Big Easy” style jazz club in the ship’s aft. Hand-crafted drinks and live entertainment will bring the culture to life. The middle of Deck 8 honors Carnival’s senior officers’ Italian heritage with an array of dining options. Some highlights of this La Piazza zone include a 24-hour pizzeria, an Italian coffee and cocktail bar, and wandering musicians setting the tone. Tired of the buffet? Enjoy a meal with family at Cucina del Capitano- Carnival’s new Mediterranean seafood restaurant. The Mardi Gras’s Summer Landing Zone is all about the summertime barbecue and brews. Take a trip to “Flavortown” on the aft of Deck 8 when you dine at Guy’s Pig & Anchor Smokehouse Brewhouse. It’s bigger than the version on Carnival’s Horizon and has a lunch bar option. The bar even offers a section of Parched Pig craft beers developed by Carnival’s own expert brewmaster—brewed right on the ship! There will be more than enough places to lounge on this side of the ship, as well as a pool and whirlpools to capture the tranquility of summer year-round. Poolside restaurants adorn the Mardi Gras’s Lido zone on decks 16 and 17. 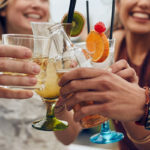 Here you’ll find casual foodie favorites like Guy’s Burger Joint, Seafood Shack, and Blue Iguana Cantina. Above all these eateries, Carnival takes fun to a whole new level—literally! Decks 18 to 20 are home to the Mardi Gras’s Ultimate Playground. But what makes it so grand? For starters, picture an 800-foot-long roller coaster at sea. The Mardi Gras’s coaster, called “BOLT”, will be the first of its kind. With a maximum speed of 40 miles per hour, this ride will actually allow its passengers to control how fast they go while taking in the ocean views from every angle. Even if you aren’t much of a thrill seeker, you can enjoy “BOLT” at your own pace. Add sea vistas, Carnival’s largest WaterWorks aqua park yet, and an expanded SportSquare into the mix and you’ve got a recipe for a good time. What Makes the Mardi Gras Better for the Environment? The Mardi Gras’s environmentally-conscious practices make her special. Carnival claims she is “the greenest ship in North America” thanks to her ability to run on liquefied natural gas (LNG). 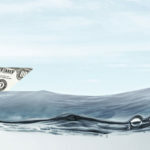 This cleaner-burning power source emits fewer greenhouse gases than “bunker fuel” typically used by cruise lines. Not only is LNG better for the environment, but it’s also more flexible and transportable—likely to be the future of fuel for all new ships. Port Canaveral has already built an LNG distribution plant in recent years with this is mind. The nearby space industry will also have access to it. How Big are XL-Class Ships? Currently, the Mardi Gras is under construction at the Meyer Turku shipyard in Finland and will begin sailing from Port Canaveral in 2020. This 180,000-ton floating resort will be 45,000 tons bigger than Carnival’s current largest ship, the Horizon, and six times bigger than her namesake. At 1,130 feet long, she will be able to contain 6,500 passengers and will require 2,000 crew members. Port Canaveral has been preparing for the arrival of the Mardi Gras as Carnival rebuilds Terminal 3 to fit their future XL-class ships. 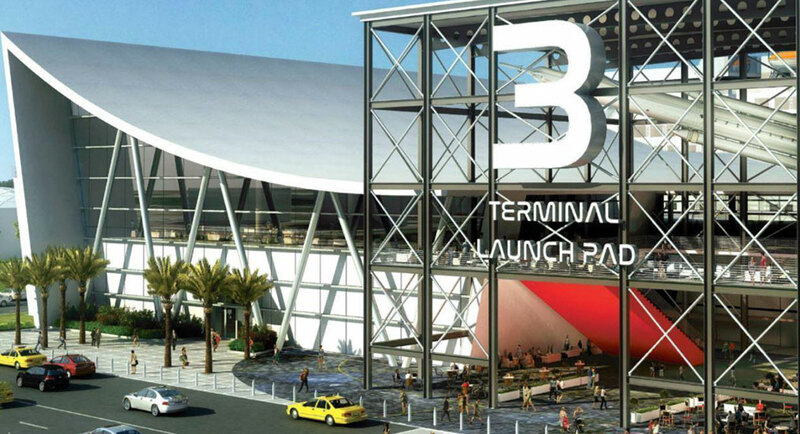 In March 2019, Canaveral Port Authority and Carnival Cruise Line officially broke ground for construction of this complex nicknamed the “Launch Pad” during a space-themed ceremony. At a whopping $163 million, this is the Port’s biggest project yet! It it said to be completed by October 2020. Another ship is said to be ready by 2022 in celebration of Carnival Cruise Line’s 50th anniversary. 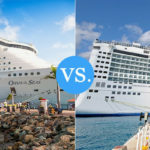 These ships are so enormous that they’re going to have “dueling entertainment venues with two separate performance casts”, according to travel blogger Sal Pitera. 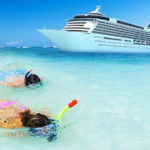 Carnival Mardi Gras cruises are currently on sale here. More details about the ship will be revealed this year. To be one of the first people to hear these updates, like Go Port Canaveral on Facebook for news regarding this impressive new ship. 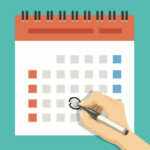 Feel free to bookmark this page to check for new updates as they are announced! Sailing on the Mardi Gras next year? 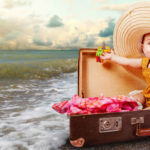 After booking your cruise, let Go Port Canaveral take care of the rest! 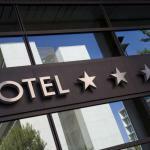 We’ll make your hotel accommodations and transportation plans for you, so you can make the most of your vacation.